FullScreen for Safari – $2.19This tweak allows you to enable full screen mode in Safari, along with OS X Lion like gestures for navigation. FullScreen for Safari is an extremely well thought out tweak, especially for those who lament over the iPhone’s 3.5″ screen. Gridtab for Safari – $1.50If Apple’s tabbed browsing interface infuriates you, don’t worry; you’re not alone. GridTab for Safari places your tabs in more legible grids for easy identification. Tab+ – FreeThis tweak lends you the ability to open more than 8 tabs at once. We’re not sure what the limit is, but we’re guessing you can keep going until your device runs out of memory. 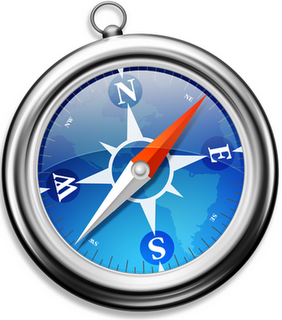 Home Page in Safari – $0.99The premise here is simple, you can set a Home page in Safari. Why this still isn’t featured in iOS is anyone’s guess. Safari Unibar – FreeA very interesting tweak that allows you to have a Google Chrome styled OmniBar to perform both searches and direct URL browsing using only one bar. The dedicated search bar is no more with Safari UniBar. To that we say good riddance. The easiest way to kill all Safari activity. Clears history, cache, and closes all tabs. Perfect for resetting Safari when it inevitably starts running slow. Check out the video below for a more in-depth demonstration. I know some of you may be outraged that I didn’t include Safari Download Manager. That’s an excellent tweak, that shouldn’t be overlooked. Ultimately, it doesn’t work in iOS 5, so I omitted it.